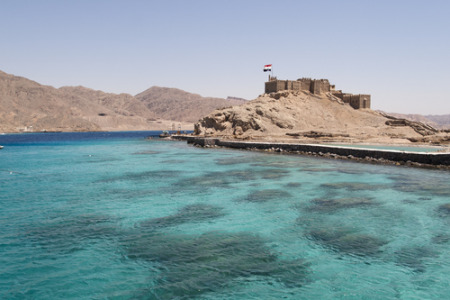 Our cheap Taba holidays will soon transport you to a modern Red Sea resort in the Sinai Peninsula where you can relax in year round sunshine. Lying in an area of outstanding natural beauty surrounded by warm glowing mountains, its shores washed by the clearest of waters, Taba is an idyllic spot. Holidays in Taba promise relaxation in luxurious hotel complexes, bathing in warm crystal waters, exploring the Sinai Desert on camel back, quad bikes or jeeps. Our cheap Taba holidays are popular with scuba divers and snorkellers as the stunning coral reef and the surrounding waters are home to hundreds of species of colourful marine life. Golfers have a superb championship course which has views over Jordan and Saudi Arabia. Holidays to Taba have something for everyone. Whether you are a lounge lizard, a water sport enthusiast, a golfer or have an interest in ancient history, we have Taba holiday deals to accommodate your needs. Search now to find our last minute Taba holiday offers.